The Festival of Nations’ events in 2012 took place between May 3 and 6. This 4-day event was held at the River Center in Saint Paul, MN. This highly entertaining and widely interesting experience has been organized annually by the International Institute of Minnesota since 1932. This year all participating ethnic groups of Minnesota have prepared to the big celebration of the 80th Anniversary of the Festival of Nations. This year the theme was: „Ethnic celebrations and events”. The festive and fun atmosphere year after year helps building friendship among the ethnic groups and the visiting public to learn, accept and appreciate the richness and values of each others’ culture. Voluntarily working together for years all the participants of the ethnic groups are committed and devoted to broaden the colorful mosaic of the life of Minnesota. This year there were 50 Cultural Exhibits, 28 Folk Art Demonstrators to show and teach about their unique culture and skills. 50 International Bazaars were selling ethnic products, 36 Ethnic Cafés (Kitchens) offered great varieties of their food specialties. Over 60 were the number of ethnic groups: dancers, musicians that performed on stage, also language courses and other educational and entertaining programs were available for the visitors. The Hungarian Café lead by Rozy Nemeth had offered Stewed Beef over Dumplings, Hungarian Goulash Served with bread and Sautéed Mushrooms w/Paprika over Dumplings, Pickles, Dobos Tort, Chocolate Cream Torte (Rigó Jancsi), Coffee, Milk. 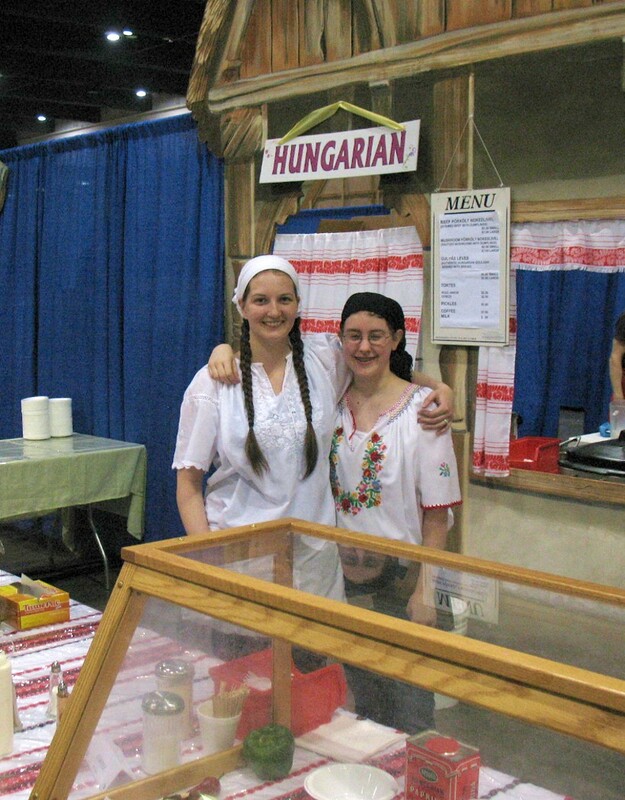 They had great number of visitors trying and enjoying the Hungarian cooking. Volunteers working in the kitchen and serving were: Alexi Bryant, Andy Johnston, Anna Nemeth, Barbara & George Bor, David Palme, Edit & Lajos Horvath, Emese Pilgram, Erzsi Nemeth, Eva Kish, Eva Novaczyk, Joe Nemeth, Katherine Bryant, Klara Hagymassy, Lynn Nemeth, Martha Slater, Melinda Miklai, Michelle Nemeth, Mike Nemeth, Nick Mueller, Paul Fulop, Rachel Bryant, Teri Gunderson, Teri Nemeth, Theodore Nemeth and Tori Johnston. 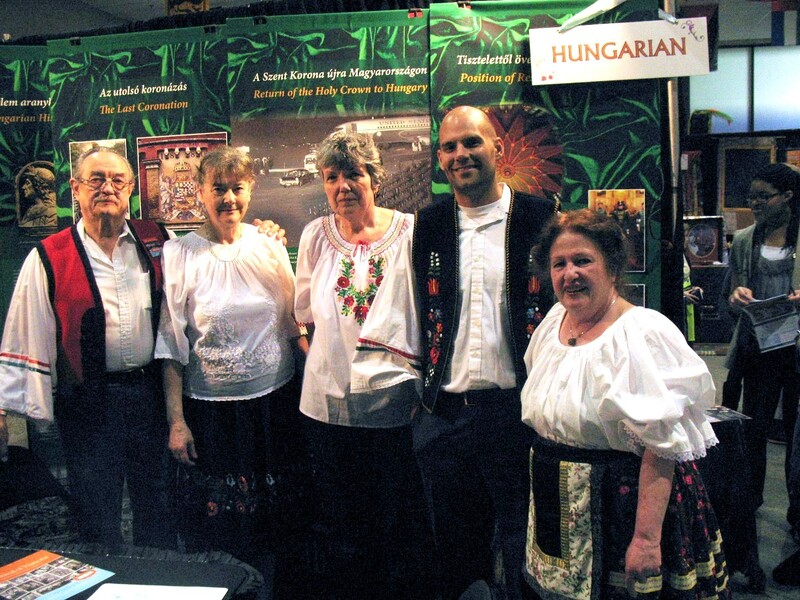 The Cultural Exhibit (Exhibit chair Agnes Fulop worked with Laszlo Fulop) was organized to show and inform the visitors about the given theme and how the exhibited material informs about Hungary. 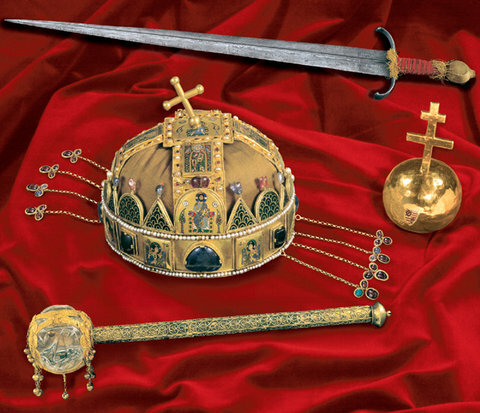 The exhibit that Tibor Gallo, (the Chair of the Hungarian festival volunteer group) and Sandor Gallo helped to set up, displayed the history of St. Stephen, the first king of Hungary, highlighting the Holy Crown that was instrumental in holding together Hungary over the centuries and its history. The exhibit also showed information about Hungary’s 1100 years of history. Volunteer attendees were: Angela Fulop-Farris, Anna Williams, Austin Tomlinson, Edith Kosa, Eva Sandor, Gabor & Katalin Deli, Gabriella Fúró, Kati Kovacs, Kitty Gogins, Laszlo & Agnes Fulop, Mari Bales, Marika Vince-Kubanyi, Marta Matray, Olga $ Lili Zoltai, Tamás Varga, Tibor & Kathy Gallo, Viktor Frisch, Zsolt Vincze jr. They all made a special efforts inviting visitors to our booth, talk with them exchanging thoughts and views about Hungary and answering questions about our culture. We all tried to inform especially the thousands of high school students who visited the Festival from schools of Minnesota, Wisconsin and Iowa and the Dakotas. The Videki Dancers (leader Dennis Fritz) and singers were cheered by viewers, performing daily during the 4-day events. Unfortunately, Laszlo Ficsor and Eugene Kerkay Hungarian chess masters and Betty Belanger Kalocsa and Matyo embroidery teacher were not able to participate in the Festival and they were greatly missed by many visitors. Csilla Grauzer President of the Minnesota Hungarians expressed her appreciations in behalf the leadership and thanked all volunteers.